Package 4 Days 3 Nights Phi Phi Island+James Bond Island + Fantasea Show+Phuket City Tour+Airport Transfer Service. 09.00 a.m. Departure from the pier to Phi Phi Ley Island for swimming and sightseeing atMaya Bay Enjoy snorkeling and feeding colorful fishes at “Loh Samah Bay".Sightseeing at "Pileh Cove" and "Viking Cave" Enjoy feeding monkeys by a piece of banana, enjoy swimming, snorkeling with plentiful coral reefs and colorful fish. 12.00 pm. Have lunch at "Phi Phi Don"
14.30 pm Arrive at “Khai Nok Island" enjoys your activities like a swimming, snorkeling, sunbathing and feeding fishes. 15.30 pm. Depart from "Khai Nok Island"
16.30 pm. Arrive at Royal Marina and transfer to your hotel with a pleasant trip. 07.30 - 08.00 a.m. Pick up from your hotel and transfer to the pier at Ao Por. 10:30-16:30.p.m. Arrive to Koh Panak Island. Proceeding Sea Canoeing with the wonderful scenery at several caves and lagoons of Koh Panak : Bat cave,Mangrove cave, Mud cave, Ice Cream cave, Shell cave and Pirate cave. 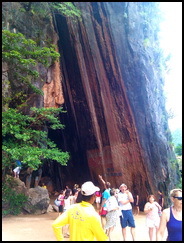 (Number of caves is up to the level of water and the averaged time exploring for each cave: 30 minutes) Boat leaves from Koh Panak to Koh Hong or Room Island which you can explore by canoeing the stalactite and stalagmites which are happened by natural phenomenon situated around 3 lagoons called Toilet Room, Living Room and Honeymoon Room. Buffet lunch on board. 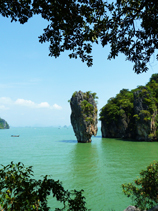 Depart to Khao Tapoo, well known as James Bond Island about 50minutes.Depart from Koh Hong to Koh Lawa or Koh Naka.1 hour for swimming and relaxing at Lawa beach or Naka Beach. * Visit to Wangtalang Lapidary gem factory. Enjoy with refreshment (soft drinks, coffee or tea). * Sightseeing to Century-old Sino-Portuguese building at Thalang Road. 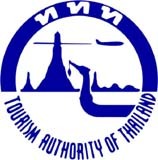 Half-Day Phuket Sightseeing Tour Approx. 5 hrs. 4 Days 3 Nights Phi Phi Island+James Bond Island + Fantasea Show+Phuket City Tour+Airport Transfer Service.